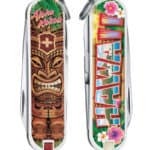 Victorinox provides the best products you can find for a competitive price. The Swiss company entered the travel gear market in 1999 with a license developed by the American group TRG. In 2014, they made a strong statement and brought in-house the entire travel gear activity. 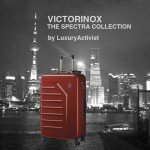 They created Victorinox Travel Gear AG and its HQ is in Switzerland, in the heart of the Swiss Army knife valley. Victorinox travel Gear collections are available in a wide range of luggage, business bags, backpacks and daily urban bags. You can also find some travel accessories and general leather goods. Each piece is designed to withstand intense and extensive travel. A Victorinox travel gear can be easily distinguished by its sophisticated technology, functionality and longevity. The Spectra 2.0 collection was engineered to be lightweight without sacrificing durability. These 100% pure Bayer polycarbonate cases feature a stylish, scratch-resistant matte finish and protective corner guards. Select styles are even equipped with an integrated front-zippered door and organizational panel to give you on-the-go access to the things you need most while traveling, such as a laptop, tablet, tickets and more. Here is a creative video exploring the concept of Spectra. For this summer, Victorinox launches a new limited edition color, Navy Blue. This new color completes the range of colors that the Spectra collection has developed. Each time, the Swiss brand created a very distinctive collection in which the shapes, structures and colors are pretty unique. When you travel, you always look for the best companion that will bring your precious belongings safe to its destination. With the new Spectra 2.0 Blue Navy, you can get one of the most stylish, functional and qualitative travel gear of its category. 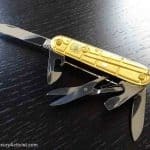 Info sourced at Victorinox official press release and website. All content is copyrighted with no reproduction rights available.